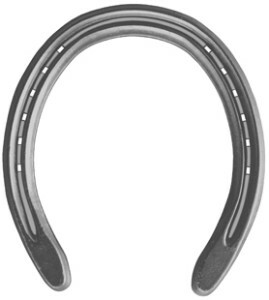 For years the market had no choice in the Standardbred shoe market. The introduction of the Kerckhaert Swedges, made with a tough, durable steel is a dream come true for many. The shapes of the shoes are a significant improvement and the careful consideration seen in the nail placement and support in the heels are noticeable features.